A FATHER who was giving children sleigh rides in the snow with his car during Storm Emma was “recreating the spirit of Christmas”, Kilmallock Court heard. Dawid Adam Zurawski, aged 36, of Cluain Arra, Newcastle West pleaded not guilty to dangerous driving at the same address. Garda Dermot Hallett said it was “one the most dangerous things” he has seen in his over 20 year career in the force. Garda Hallett said the incident occurred on March 3, 2018, which was during Storm Emma. Michael O’Donnell, solicitor for Mr Zurawski, said his client was only trying to “recreate the spirit of Christmas” and of “reindeer pulling Santa Claus’ sleigh”. “A national emergency had been declared due to the weather conditions. A considerable amount of snow had fallen - it had changed from an orange to a red warning,” said Garda Hallett. Due to his driving experience, Garda Hallett was patrolling in Newcastle West and was tasked with responding to emergencies. “We had restricted numbers due to members not being able to travel due to the snow. The general advice by the government was not to use the roads unless it was an emergency. There was a lot of snow but it started to thaw at around 11.30am. There was a lot of slush. Driving was hazardous,” said Garda Hallett. A member of the public stopped the gardai at 1.15pm and pointed down the road. “I turned off the engine. I activated my mobile phone to capture as much evidence as possible. I observed a red Volkswagen Polo being driven by a male. He was on a mobile phone, I clearly saw his lips moving. While the car was in motion, a rope was tethered from the back of the car to a sleigh towing a 10-year-old boy. That little boy had no helmet, safety harness or airbag,” said Garda Hallett, who added that he considered arresting Mr Zurawski. Mr O’Donnell said while it was March and not December there was “a touch of Christmas” about it due to the heavy snow. “Children made the most of it by playing in the snow, sledding and building snowmen. My client was trying to rekindle the happiness of Christmas and of reindeer pulling Santa Claus’ sleigh by making a sleigh for his children,” said Mr O’Donnell. The solicitor said his client was driving on a quiet cul-de-sac in a housing estate. 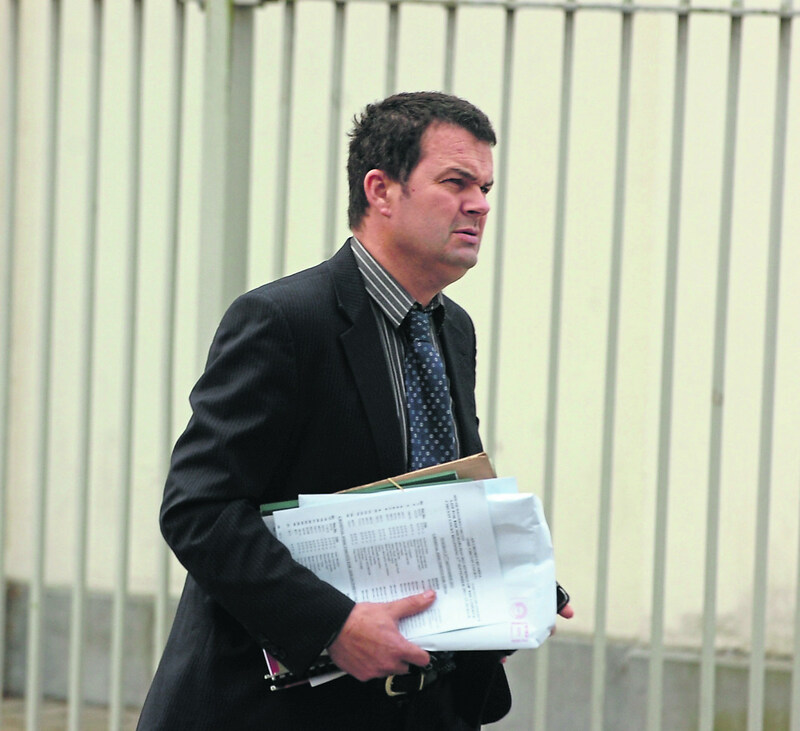 Garda Hallett said two cars stopped behind him while he was speaking to the defendant. Mr O’Donnell said there were a very limited number of cars on the road, Mr Zurawski was driving very slowly and there were no injuries or incidents. “I put it to you it was not dangerous driving,” said Mr O’Donnell. Garda Hallett said he has been a garda since 1996 and it is “one the most dangerous things I’ve seen”. “The rope could have broken, he could have gone over a manhole cover or hit a kerb. The child couldn’t control the direction. The child could have gone into the back of the car. The driver could have lost control. He could have been hit by another vehicle. A pedestrian could have fallen on top of the young fellow,” said Garda Hallett. Mr O’Donnell said none of these happened and his client was driving so slowly that the garda could see his lips move. “Mr Zurawski lives 200 metres up the road and is very familiar with it. He has lived there for 14 years and is a mechanic. He made a homemade sled for his children. He has no previous convictions,” said Mr O’Donnell, who contended it didn’t reach the threshold of dangerous driving. Mr Zurawski took the stand and said he paid the fine for speaking on a mobile phone while driving and knew that it was wrong. “If kids see snow you want to do something for them. I made a sleigh. I connected it to the car. I didn’t drive fast and I watched them the whole time. I didn’t see any danger,” said Mr Zurawski. The Polish man said it is normal in his country. “Sleighs are pulled with tractors and cars. I never thought it was different over here. I never did it before - there wasn’t the snow. What can I say - I did it for fun for my kids,” said Mr Zurawski. He told Judge Marian O’Leary he had learned his lesson. “I am a responsible father and I would never do anything against my kids,” said Mr Zurawski. Sergeant Michelle Leahy said other cars or pedestrians might not know there was a sleigh attached to the back of a car. In summing up, Mr O’Donnell said the dangerous driving charge should be dismissed. “He did it for the enjoyment of his children and nothing happened,” said Mr O’Donnell. Sgt Leahy said in the context of the weather and road conditions she was surprised the defendant didn’t see the danger in a child tied to a wooden sleigh at the back of a car. Judge O’Leary said she had listened to all the evidence and in particular that the child was being towed by a car while on a piece of wood. Mr O’Donnell asked the State if they would accept a lesser charge which wouldn’t have a mandatory driving ban. They declined. Judge O’Leary found Mr Zurawski guilty of dangerous driving, imposed a two year disqualification and fined him €400. Mr O’Donnell said his client will now be unemployed as he is a mechanic. Appeal papers were lodged.